Total seventeen papers were presented on Oral History of the Jaintias, The papers were well written and well presented on the Sub topics were - Traditional self governing Institutions, Administrative organisation of Seinraij Jowai, God and Goddess of Jaintia community, Divination, Marriage system of the Jaintias, Birth Rituals, Naming rituals and Death rituals, Community Festivals, Creation History of the Jaintias, Traditional healing, Two papers on Traditional knowledge for cultural continuity, Mourning prayers of the War Jaintias, Kopati puja. In the discussion part some addition/modifications were there. Mananeeya Nivedita Bhide, Vice-President of Vivekananda Kendra (VK) and Dr. Joram Begi, Prant Sanchalak, VK Arunachal Pradesh Prant were present throughout the seminar apart from VKIC Director. 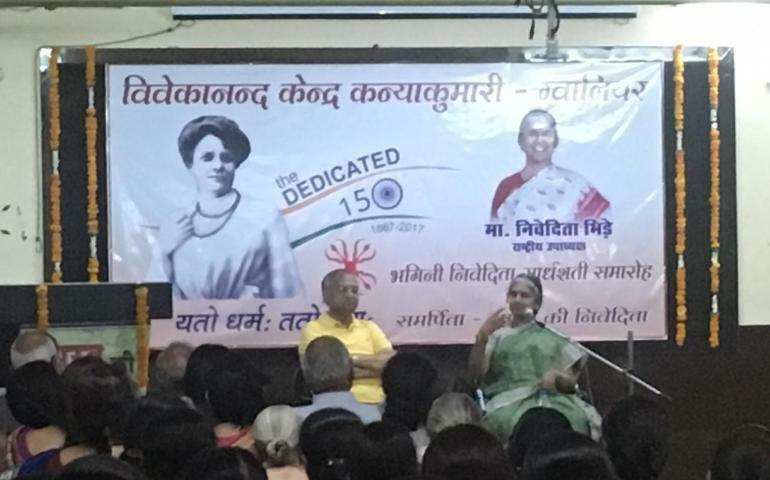 Dr Joram Begiji delivered the Keynote address and Mananeeya Nivedita Didi delivered the Valedictory address. She highlighted the commonalities of Jaintia community as to see the Divinity in all, worshiping actually the Divine that is expressed in Nature, respect for mothers, respect and obligation to the ancestors, etc. Didi also cleared some basic confusions. Ma Pravin Dabholkar, Joint General Secretory, VK spoke of the activities of Vivekananda Kendra. Nine Jaintia community elders were felicitated for their outstanding contribution to the community with citations and a Naga shawl in valedictory session . 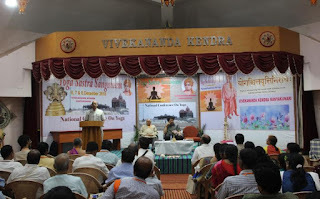 The Three Day Yoga Shasthra Sangamam (Convention) was organized by Vivekananda Kendra, Kanyakumari at Vivekanandapuram, Kanyakumari. 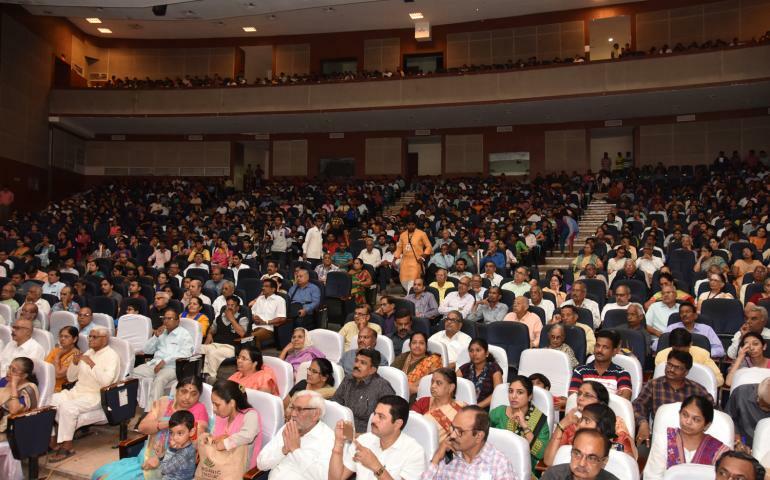 It was inaugurated by Kum Nivedita R. Bhide, Vice Preseident of Vivekananda Kendra as its Chief Gusest by delivering the Inaugural Address she emphasized on the aspects that of this type of convention has the significance in todays' human life. She said that to understand the real and original value of Yoga such type of convention is need of the hour. Dr. M.V. Bhole ( Formerly of Kaivalyadham , Lonavla) was the Special Guest and he was present all three days. 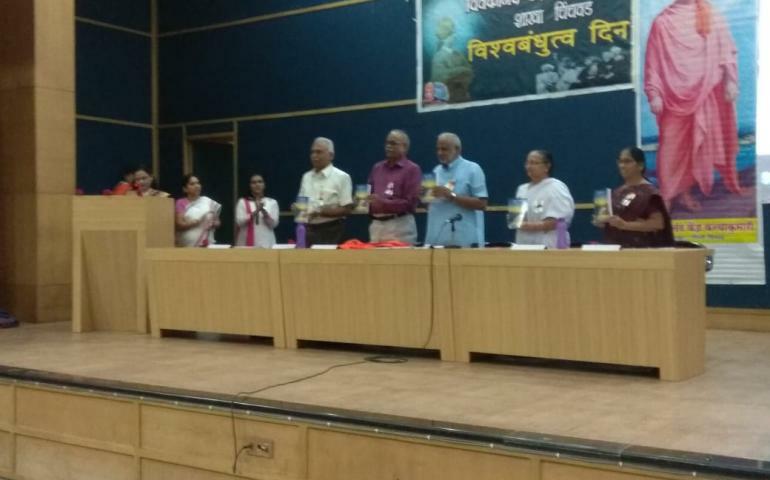 A Souvenir was released by Shri Dr. L.MAHADEVEN on the occasion in the presence of Shri Bhanudasji and Dr M.V. Bhole . 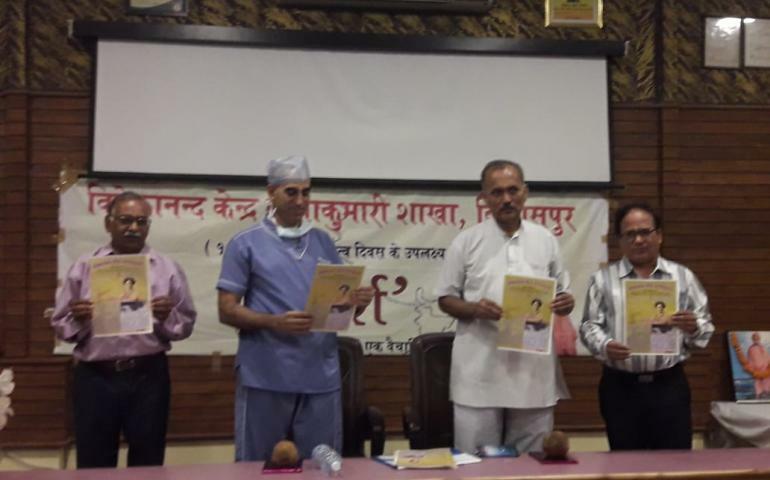 The first copies were received by Dr. R.K. Sharma and Dr. Padmanabhan who also had delivered the Keynote addresses on other two days. 151 participants from 15 states made this truly a National Convention. The presence of overseas participants from 5 countries showed the great interest taken in yoga by people from abroad. 92 gents, 59 ladies participated in the program. 36 paper presentations were witnessed in 8 sessions spread over 2 venues within the Kendra premises with 16 Moderators monitoring the sessions. 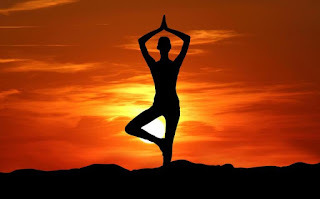 Many Universities and Institutions in Yoga, experts in Yoga, Students, Yoga Teachers, professors, other academicians, Yoga practitioners, Researchers on Yoga and several yoga enthusiasts came under one umbrella to take to the world the greatness of Yoga and the Greatness of various Yogic Texts and Scriptures. 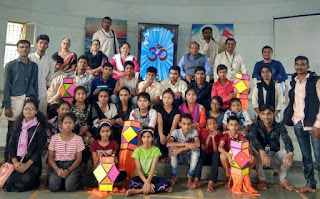 A Three Day Personality Development Camp was organized by Vivekanand Kendra(VK) Prashikshan Va Sewa Prakalpa, Pimpalad, Tryambakeshwar Dist.Nashik. 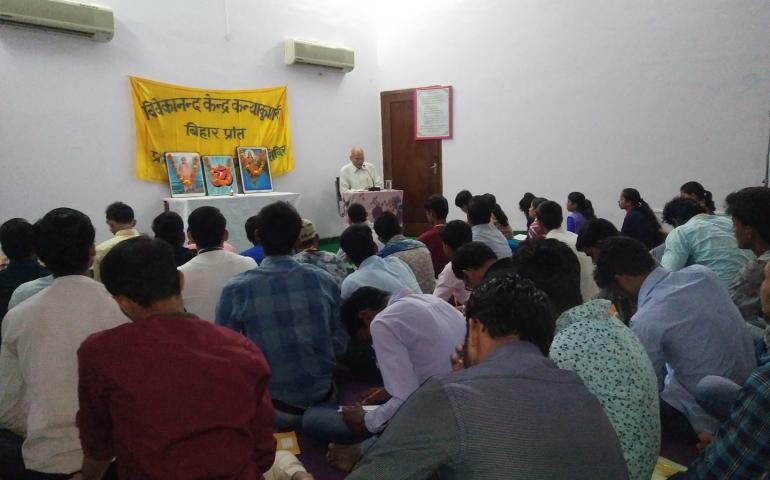 The Shibir was inaugurated by Shri Vishwas Devkar (Sr Editor and Sahasanchalak of VK Kanyakumari Nashik Branch) He also spoke on the topic Swami Vivekananda. Other topics covered were ‘Vedic Mathematics’, ‘Meaning of Kendra Prarthana, ’Challenges and Response’, ‘Eknathji’, ’Personality Development’. 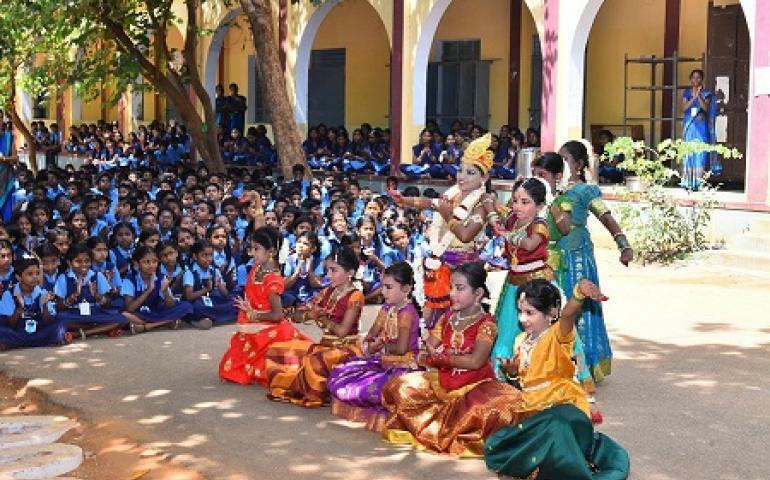 Apart from this to develop in children, the qualities such as inquisitiveness, artistry, adventurous character, compassion, self-confidence, decision making, self-dependence etc. the interested sessions were held and to develop the physical aspects and to develop team work Yoga practices, games also were conducted. Mental and spiritual aspect was taken care by the group discussions, Patriotic Songs, Bhajans etc. Twenty eight years ago Nashik branch of Vivekanand Kenra Kanyakumari in association with Savarkar Vistar (Nashik road) and Tarun Maharashtra Mitra mandal Vishnunagar has adopted 30 Adivasi Padas (Tribal Hamlets), and since then the service activities are being perpetuated ceaselessly in these areas.Different likeminded organizations and volunteers of Kendra collect Diwali delicacies,other essential daily need items and cloths from various households and those are distributed in some of these hamlets, on the next day of Bhaubeej (The fifth day of Diwali festiwal-celebration of brother sister auspicious occasion) in a very systematic and planned manner. 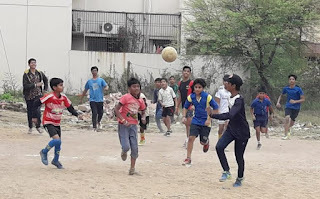 The street plays are performed in order to bring the awareness amongst the tribals ,also they are made aware of various welfare programs conducted by Vivekanand Prashikshan and Seva Prakalp Pimplad. Service to mankind is service to God is the principle message of Swami Vivekanand which is truly followed by the Prakalpa. The volunteers of Kendra from Nashik and Nashikroad wholeheartedly participated in the program of Prakalpa of Nashik nagar. This was a view of Prof. M Jagadesh Kumar, Vice Chancellor of Jawaharlal Nehru University, while delivering the 11th Vedanta Vachaspati Radha Nath Phukan Memorial Biennial Lecture organised by the Vivekananda Kendra Institute of Culture, Guwahati. Describing technology as a serious pursuit of craft and techniques, he further mentioned that economic developments which are sustainable is the need of the hour. They ought to be inclusive and should not be wasteful. In the last few decades, South East Asia has witnessed an output of E Waste that is dangerous and has serious consequences. Technology is trying to effect changes by designing of devices with components which can be replaced, thus lengthening the products lifespan. Economic models have an impact on sustainable development. The reduction of energy use and adapting to solar and wind energy can be a big boon for a country like India. It has been assessed that about 84 percent of the country’s energy needs can be secured by a combination of solar and wind power. About 60 per cent of Indians are in one way or the other dependent on agriculture. Unfortunately farming contributes only 17 per cent of the GDP. In order to achieve growth that is sustainable there is a great need for technological interventions. The Indian Institute of Science has made an apparatus that farmers can easily use to check the soil moisture, a vital task in agriculture. This and other innovations have made an impact on people away from cities and towns. Self-awareness is, therefore, the need of the hour. If one is serious about achieving sustainable development, then we must practice perennial human values such as love, affection and sharing. All these constitute part of Indian culture. 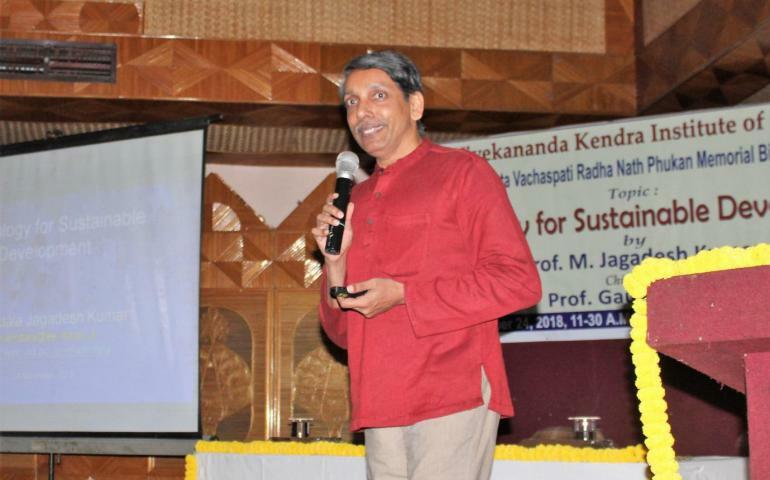 Urging people to become less materialistic and more responsible in their behaviour, Prof. Kumar said that when that happens society will become more effective in ushering in a type of development that does not endanger future generations. We have to use fewer materials, use less energy, and become socially inclusive if we are keen on devising strategies to reach sustainable development goals, he observed. Vivekananda Kendra Kanyakumari, Madurai Branch celebrated “Sadhana Diwas” commemorating Karmayogi Eknathji’s Jeyanthi , the program of rededication as “Sadhanai Dinam” on 11.11.2018 at Sai Ananda Nilayam in TVS Nagar, Madurai from 10 a.m to 4.30 p.m. Mananeeya Aparna Didi and Mananeeya Radha Devi Didi graced the occasion. 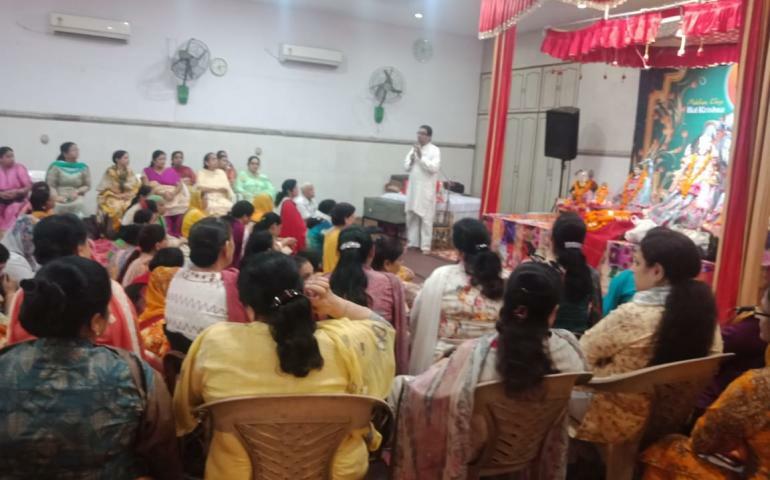 25 Karyakartas of TVS Nagar and Balaji Nagar attended the function sharing their experiences in doing the national work with Swami Vivekananda’s vision in mind and Eknathji’s mission in hands happily. Patriotic Song was led by Priya Didi. 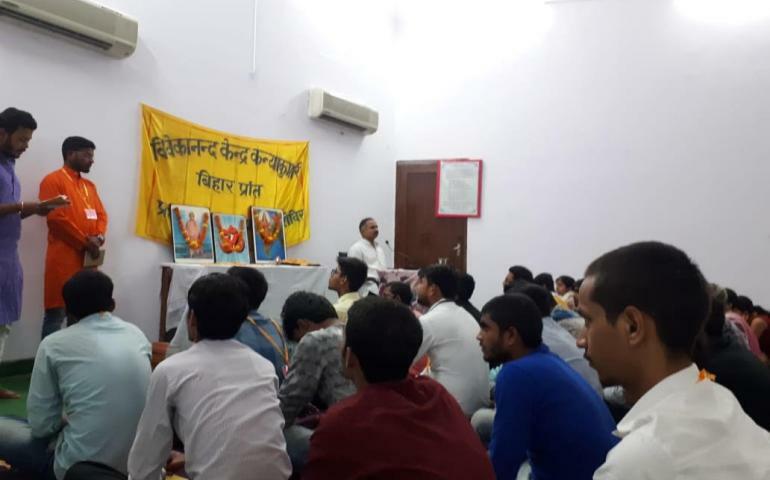 A thought moving discussion on the Sadhana Diwas letter written by Mananeeya Nivedhita Bide, Vice President of Vivekananda Kendra was conducted. Mananeeya Radha Didi explained the future planning of the Kendra. The Kaaryakarthas were introduced with their responsibilities. All the Karyakarthas did pushpanjali and took heart moving sankalpam after which the program concluded with Kendra Prarthana. 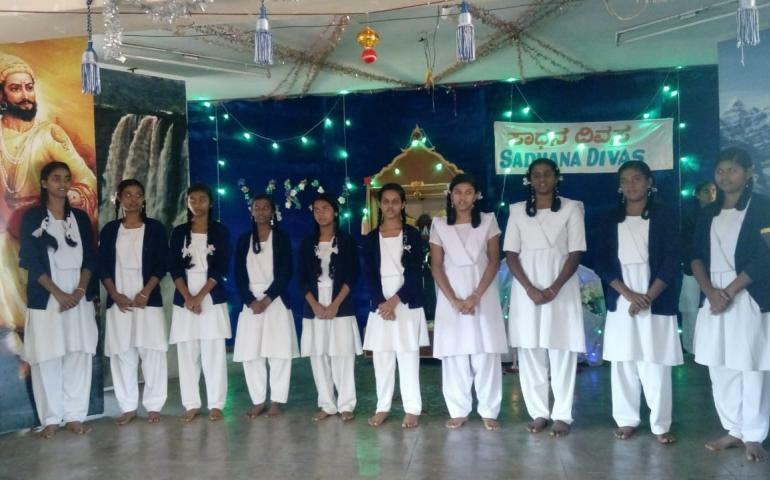 Sadhana Divas was celebrated in our vidyalaya. Although 19/11/2018 is the actual date for the celebration. 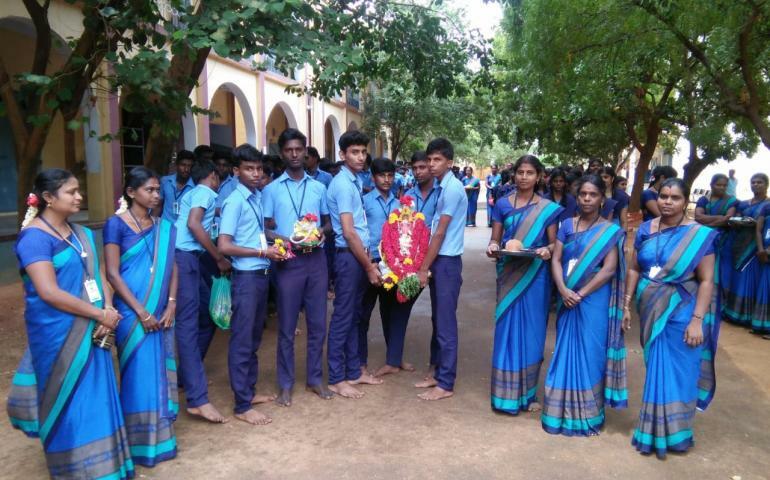 It was preponed due to the tight schedule of the school. The programme began sharp at 8:30 am. 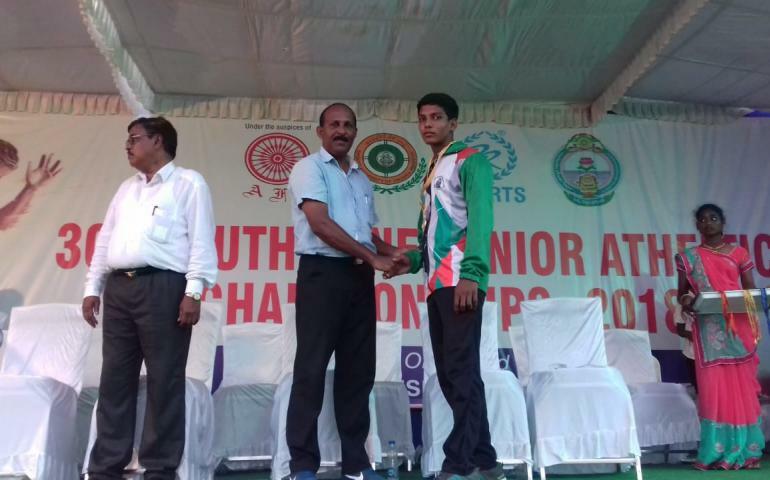 After the National Anthem Kannada song, speech by 8th std student [ Jayaraj], Hindi song, Speech by the teacher [ Nikhil sir ] were conducted. Song by 10th std girls was the final performance. 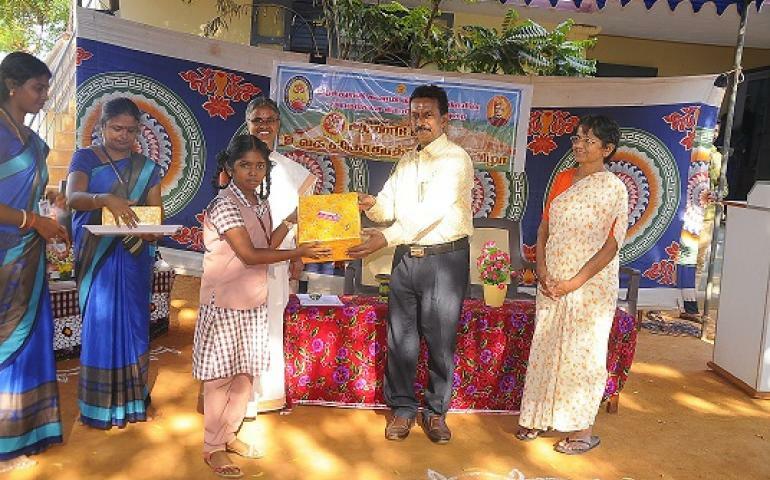 Entire assembly was managed by Ramakrishna House. 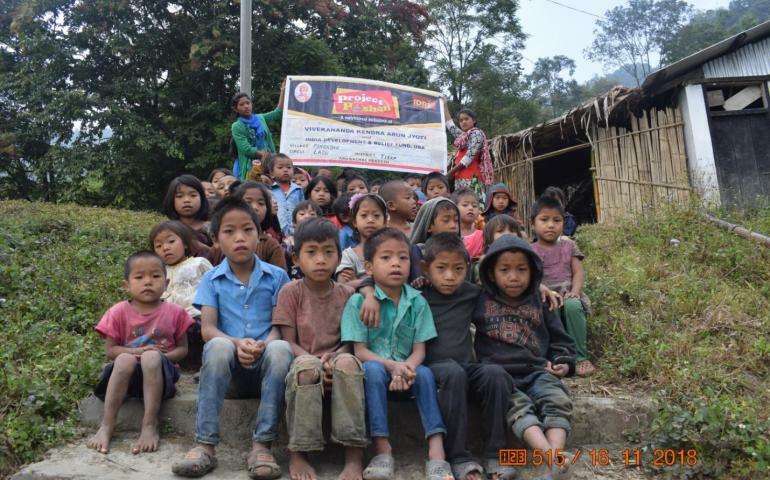 When we started our mobile medical activities, we had the opportunity to serve several remote corners of Arunachal Pradesh and observe at first hand the various factors affecting the health of the general masses. Malnutrition among children is one of them. The major causes which aggravate this problem are less crop production because of high altitude, less or non availability of food supplies due to poor surface connectivity, lack of education, no nearby health care provider and most importantly lack of awareness among the parents. For a long time we have been thinking of addressing the problem of malnutrition which is a major cause of infant and child mortality and poor health and productivity in later life. But two major requirements to start the programme were assured and continuous flow of funds and finding the right person within the community who can execute it with dedication. To start with we selected four villages of Lazu and Wakka Circles of Tirap and Longding districts. For this purpose we started meeting the people of Pongkong, Longliang, Wakka and Khanu villages and discussed how effectively the programme can be conducted with their active participation. They started selecting the children who needed supplementary food and the volunteers who will monitor and work for this purpose. India Development and Relief Fund (IDRF), USA was generous enough to provide fund for the financial year 2018-19 and assured all possible help for its continuation. 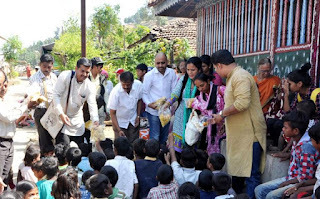 Our medical team then visited all these villages and examined the enrolled children. 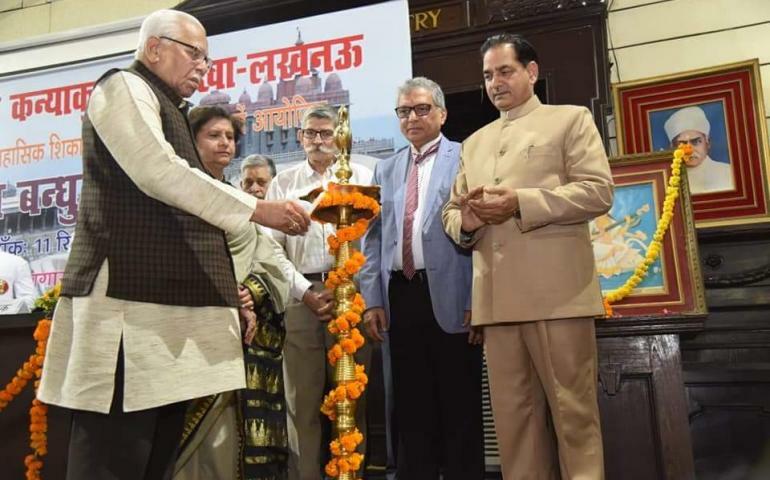 Finally, the programme was started in August 2018. 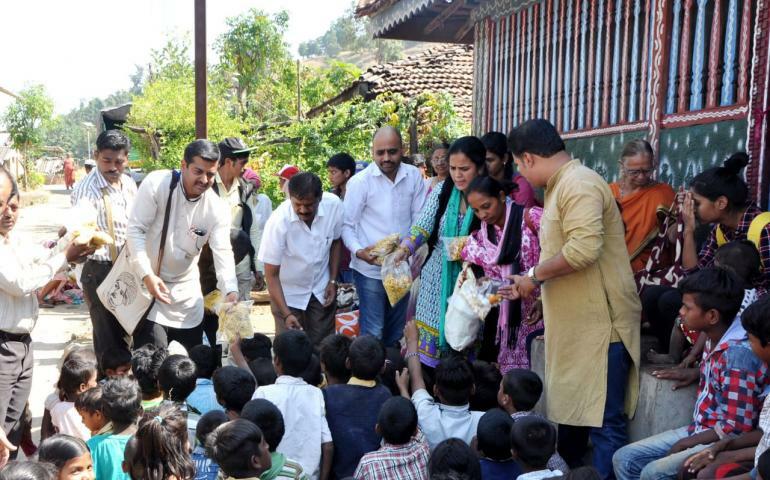 The selected children are regularly provided one staple food along with some protein supplement. All the children assemble in the community hall and our workers provide them the food for the day. After partaking of the food the children play some organized games and they are also taught a few rhymes and numbers by our trained workers. 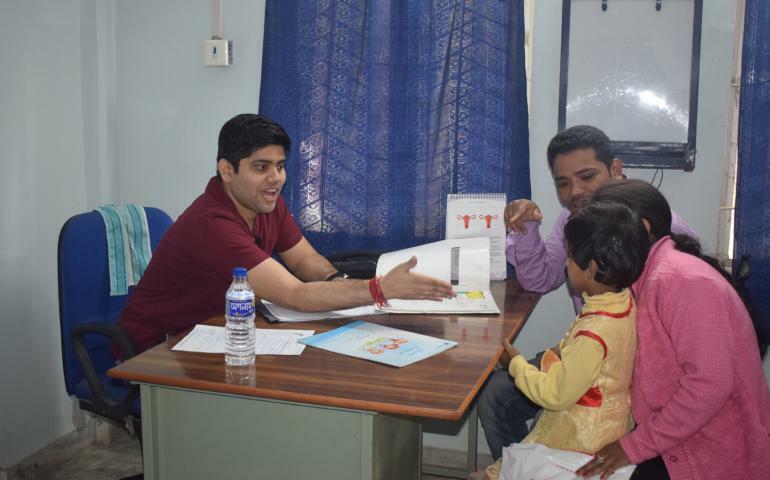 They also take care of the health and hygiene of the children and in case of occurrence of any disease the medical team is immediately informed for necessary action. On 16/11/2018, our medical team visited Pongkong village and found all the enrolled children i.e. 46 in number were present and the workers were taking care of the children as per the instruction. 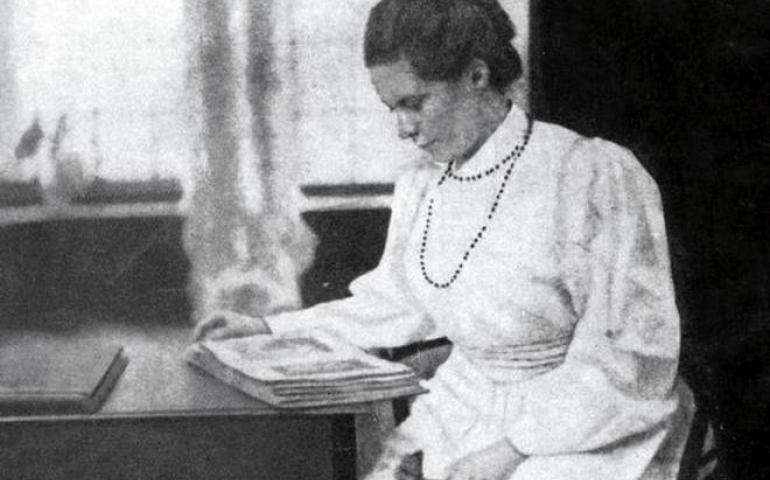 A marked improvement was seen in the children. Basic health parameters were checked and found to be satisfactory. It was also heartening to see that the children were cleaner and tidier and showed discipline. It was encouraging to see that the entire village is very positive towards the programme and they have also come up to contribute for the programmme from their meager means. To cite an example, a village youth provides the fire woods to cook the food. The educated youths help the workers to keep proper records. We hope to continue and expand this programme to more such needy areas and solicit participation from everyone. In his fabulous speech he said, 'Greetings to all,all time all best wishes. Now science is advocating with the theory of quantum mechanics that if a person thinks positive towards world,the same thing happens.The thoughts of spirituality has a strong base of science. All religions are connected with Omkar. When we talk about best wishes, in Sanskrit it is 'Sarveti sukhina santu'. In Prakrit when it comes to Buddha and Mahavira's teaching,the phrase is 'Bhavtu sabba manglam' and as we inherit Varkarari sampradaya, Dnyanoba Tukoba , the phrase is ' Jo je wanchil to te laho'. Hindu religion is all inclusive. Theist or atheist even consumerist has a place in this religion. It is considered as a school of thought. He further dipicted the life and teaching of Swami Vivekananda. Worship to man is worship to God.By giving an example of Swamiji's life he said,as soon as the caste system ends, Bharat will become super power.Be fearless,face the circumstances with brave heart,and the victory is yours. Analyse the things in the light of Swamiji's wisdom. Be rational. Swamiji never had a blind faith. He was curious to know about God. He attained self realization by the grace of Ramakrishna Paramhansa.At Kanyakumari when he sat on a rock in the sea,he realised goal of his life. In his motivate speech, Avinashji elaborated Swamiji's whole life, meeting with the King of Khetri,about their friendship,how he gave him name ' Vivekananda'.Swamiji was rational so he got the name ' Vivekananda'. When at world Religions Parliament Swamiji uttered the sentence 'My sisters and brothers of America', the audience sheered in joy.Everyone in this universe is my brother. And this thinking is called as Universal Brotherhood. So every year September 11, is observed as Universal Brotherhood Day. He said in the calamity of Kerala 240 youth aspired by swamiji's thinking, went to Kerala to help the affected peoples.They are working selflessly. And fortunately his students who are now officers at Kerala and also aspired by Swamiji,are helping them. Officers have the power,with that they can serve the people. Be a government official for the welfare of the society.Be a good human being and have the attitude 'country first.' On this occasion a drama was performed by the children of verious Sanskar Vargas. The short play was based upon Swamiji's speech at Chicago.Anaya presented a song on Swamiji' life.Both were appreciated by Avinashji. He advised Kshitij Kaushike who played Swamiji's role.To dress like Swamiji is easy but to be like him is more important.Its a responsibility. Swamiji has chosen you for his work. While speaking about the song sung by Anaya,he said,she has presented the song with full Force.This is the force of Mother Goddess.Durga, Bharat Mata.Bhatiya women carries a force in her.she is brave and can face any circumstances.She never cry.She use to fight and win. Instead of running after a successful life one should try to make it meaningful. Avinashji concluded his enchanting speech with the same words which he uttered at the beginning,' Greetings to all,all time all best wishes.' On this occasion Vivekananda Kendra Kanyakumari's state head Mr.Abhay Bapat and Mr.Sanjay Jadhav were present on the stage. Ajinkya Ujlambkar gave an introduction of chief guest.Manasi Bhadane gave preface of the programme. Anant Bhagvat gave vote of thanks.The programme was concluded with 'Pasaydaan'- Universal prayer. 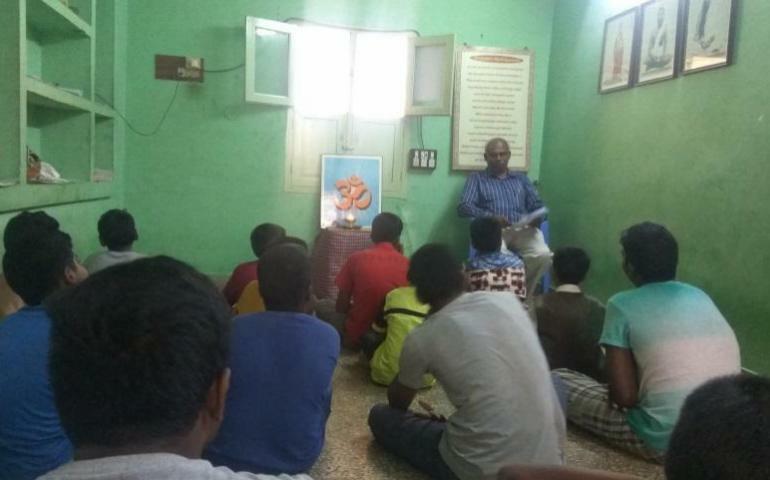 Vivekananda Kendra Kanyakumari, Madurai branch celebrated Saraswathi pooja and Vijaya Dasami at TVS Nagar karyalaya and Balaji Nagar karyalaya respectively. The sole aim of the programs is to impart the feeling of oneness and national integrity among the people. Saraswathi pooja was celebrated on 18.10.2018. 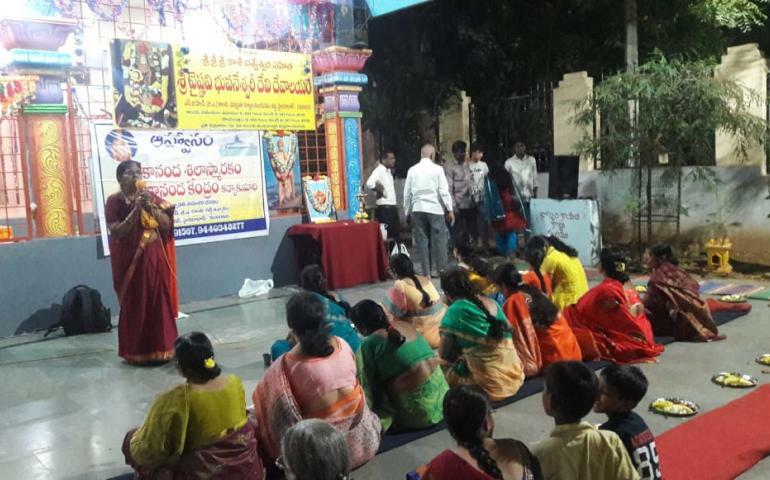 The program started at 4.15 p.m. Our Kendra well-wisher Smt.Saraswathi lit the lamp which was followed by bhajans. Smt.Geetha, former professor, Fatima College shared with us the importance of Navrathri celebrations. 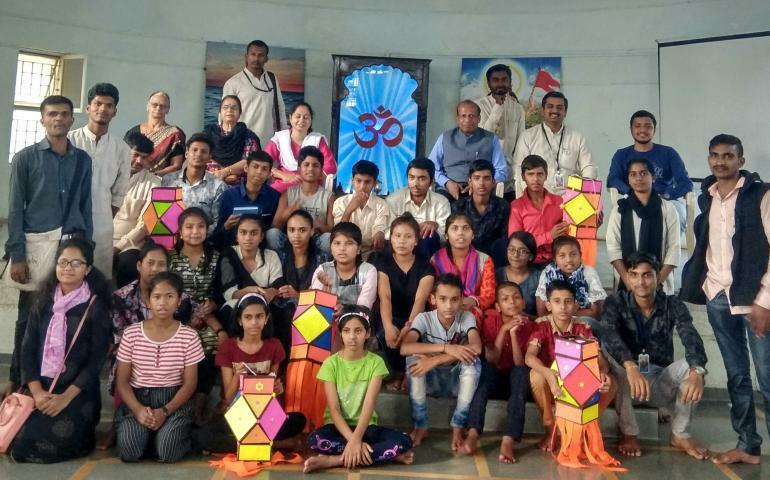 20 people including sanskara varga children took part in the celebrations. 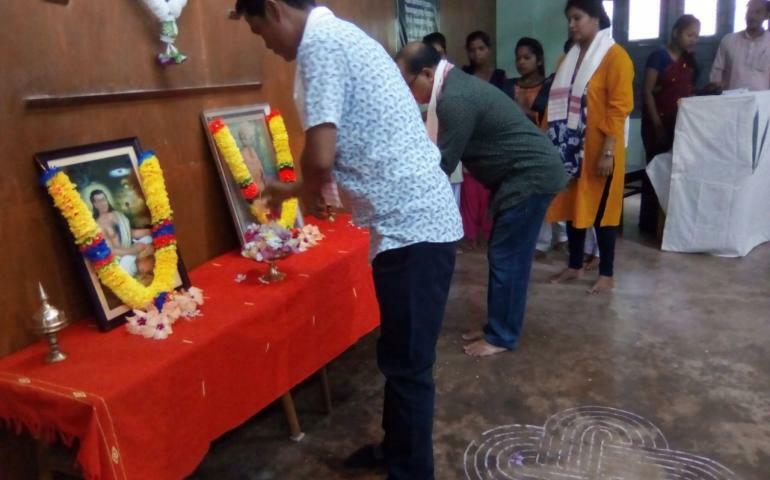 Vijaya Dasami was celebrated on 19.10.2018 at Balaji Nagar karyalaya. 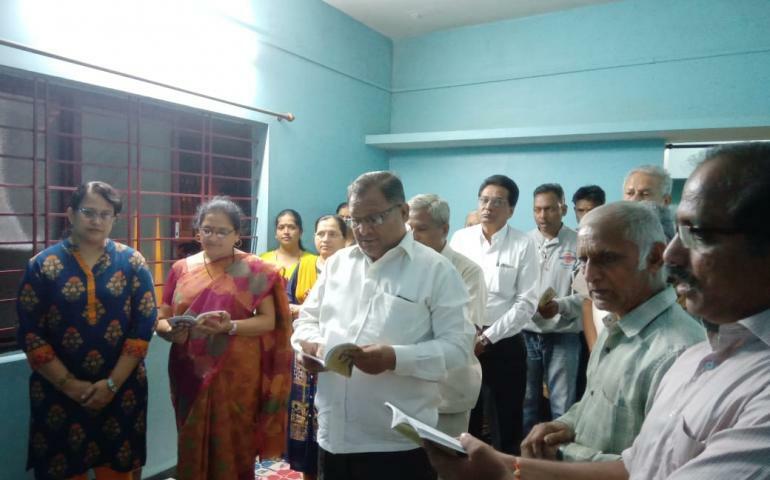 The program started at 6.30 p.m. with prayer which was followed by bhajans. 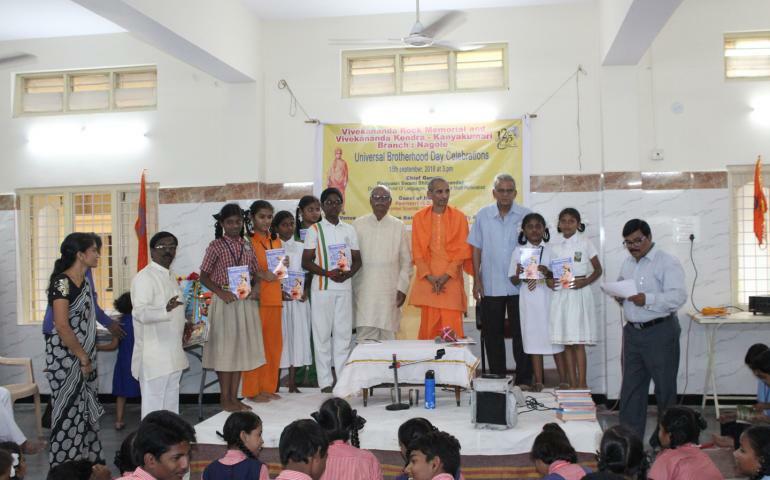 Swami Sadasivananda from Vivekanandar Peravai shared how celebrations help in national integrity. 50 people took part in the celebrations. 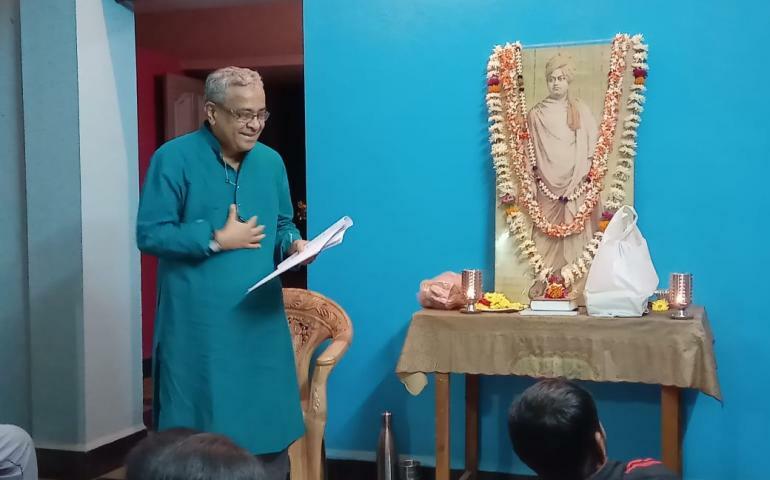 To celebrate the 125th Anniversary of Swami Vivekananda’s Chicago Addresses, Vivekananda Kendra Kanyakumari – Madurai Branch had organized several lecture programmes at Balaji Nagar and TVS Nagar Karyalayas, four colleges and one school. The objective of these programmes is to commemorate the message of Universal Brotherhood given by Swami Vivekananda to the Western audience in the Parliament of Religions at Chicago on 11 September, 1893. Total number of 380 students and 75 people enthusiastically participated in these college programmes and public programmes respectively. The first public program was organized at Balaji Nagar Karyalaya on 8th September in which Shri.Somasundaram ji gave a speech on Swami Vivekananda’s Chicago Addresses and the importance of Brotherhood in the modern society. On 10th September, lecure program was arranged at Jain Vidyalaya School. 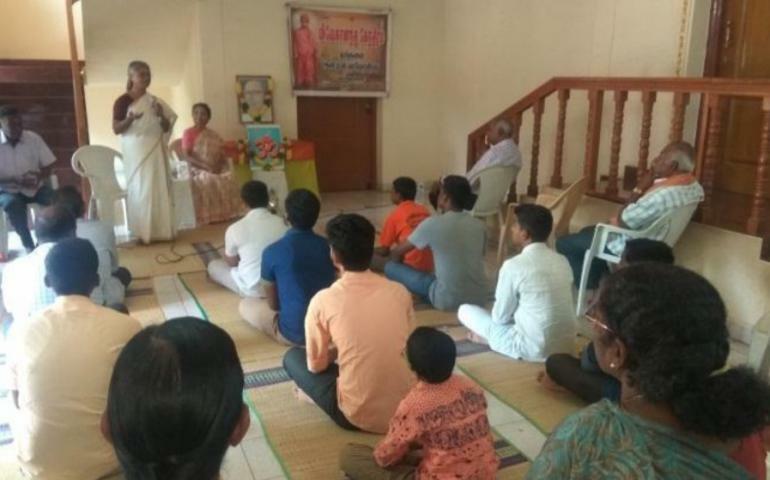 Adharneeya Priyamvada didi, jeevanvriti karyakartha gave a lecture on Swamiji’s message of brotherhood and its importance. 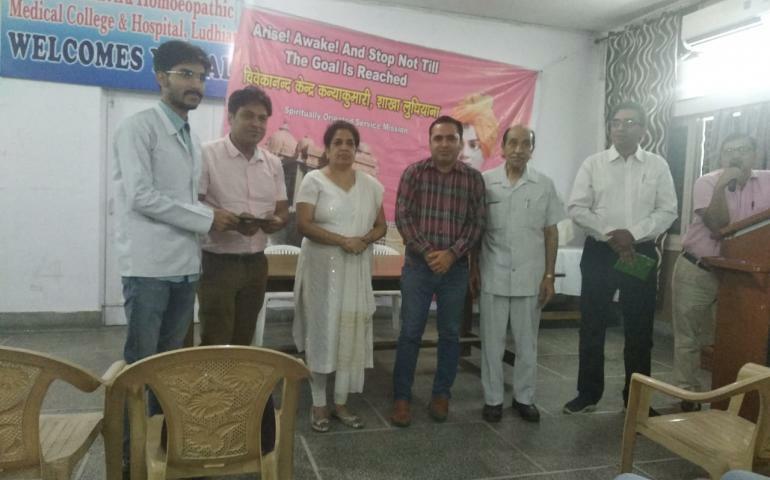 On 11th and 12th September, two programs were organized at Thiagarajar College of Preceptors and Sourashtra Women’s College respectively. 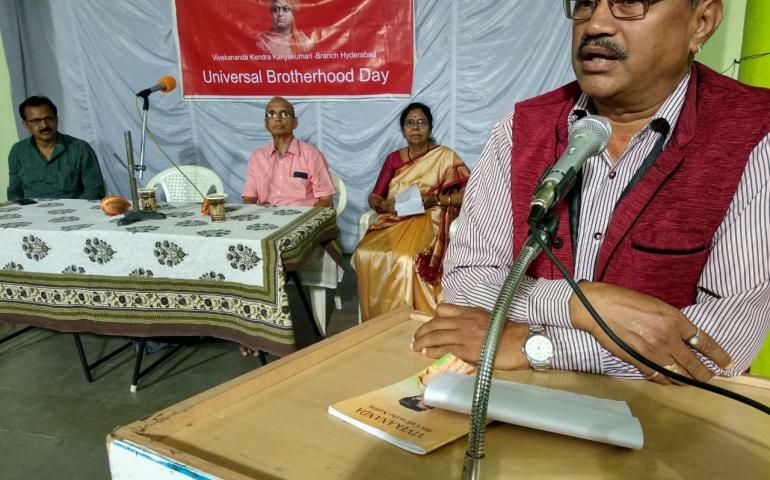 In both the programs, Smt.Geetha, Professor, Fathima College delivered a nice lecture on Universal Brotherhood Day. She explained how India introduced the concepts of tolerance and acceptance to the world. On 12th September, another program was organized at Thiagarajar College of Engineering. 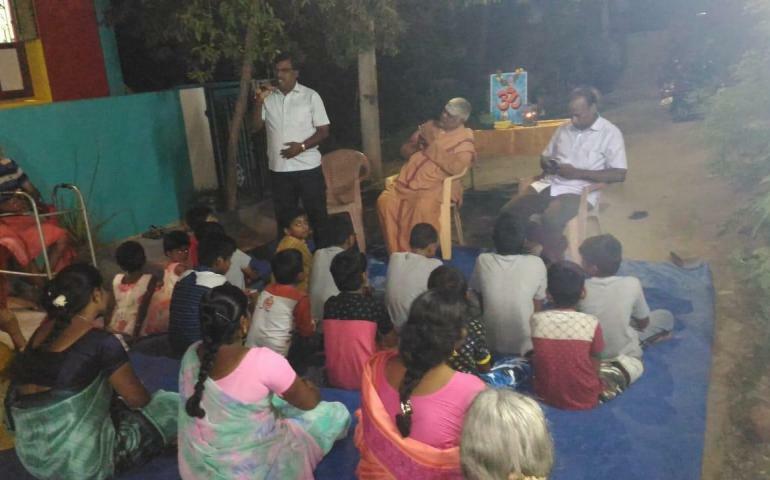 Adharneeya Priyamvada didi gave a lecture on the message of Universal Brotherhood given by Swami Vivekananda. On the same day, a program was arranged at TVS Nagar Karyalaya. Adharneeya Priyamvada didi shared some life incidents and messages of Swamiji. A small skit about Ganesh Chaturthi was also enacted by Sanskaravarga children. 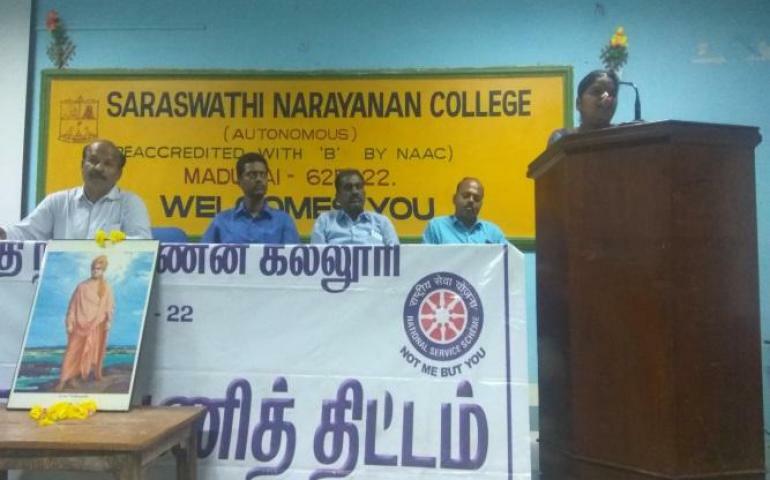 On 17th September a lecture program and interactive session was arranged at Saraswathi Narayanan College in which Adharneeya D.Natarajan, Karyalaya Pramukh gave a lecture on Swamiji’s Chicago addresses and interacted with students. He conveyed the youth how Swamiji stood on values and wished all to do so. Patriotic song was also a part in all the programs which inculcated patriotic spirit among the students. 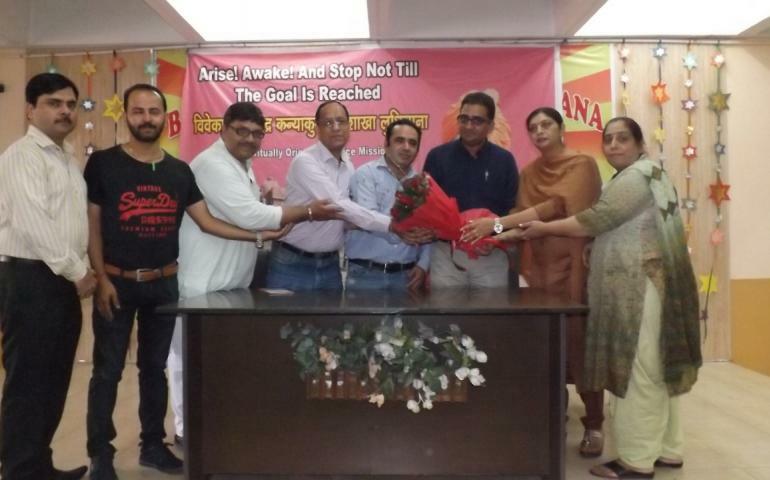 We Ludhiana team organized a Geeta Parichaya program at a one of the most reputed temple named Krishna mandir. 300 members of Stri Sabha and other visitors of temple participated in the program. 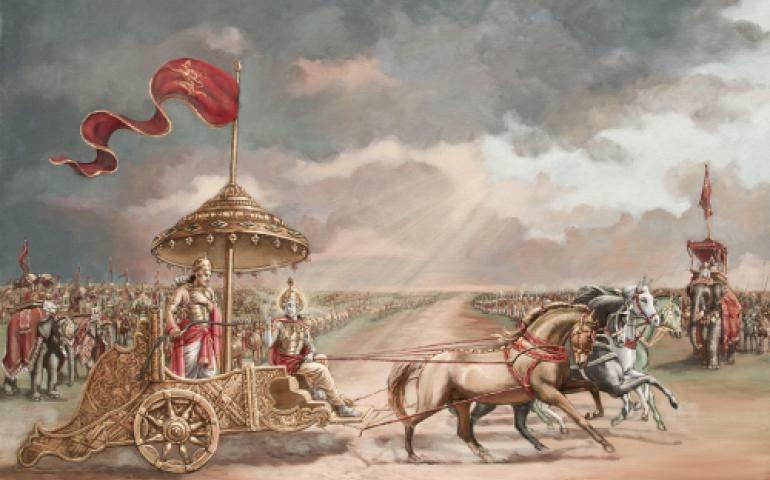 Who should study Bhagwat Geeta, why, how and when should we study bhagwat Geeta was explained. Study group will start from coming Monday at 8:00 in the temple hall. Today our center celebrated universal brotherhood day. The prog started at 10.00 a.m. morning & end on 1.30 p.m.. The prog stared with the introduction & facilitation of our guest followed by deep prajvalan by the honourable guests. 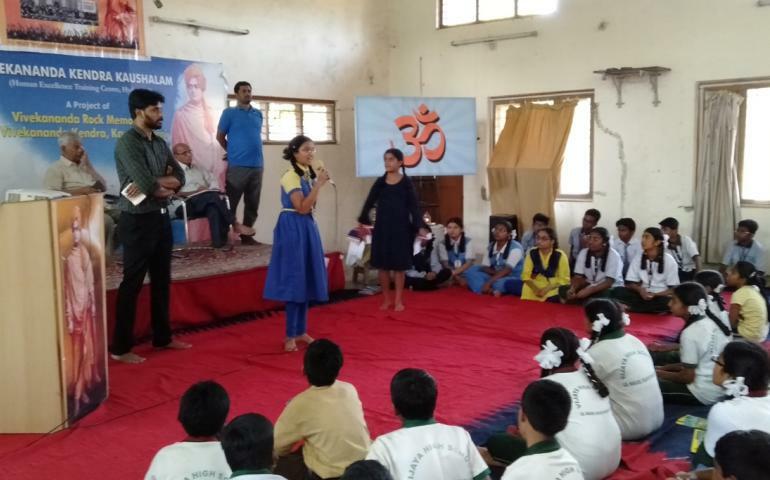 The importance of today celebration was explained by our anchor Kalpana & a gist of swamiji's speech at Chicago was read by our vkv teacher Arpita. Later the guests delivered their speeches. Then our vkv students perform their demonstration. Lastly words of thanks was deliver & the prog ended with shanti mantra & kendra prathana. After celebration tea was served to all. Our center's sis & local sis gave good cooperation. Total audience = 98. 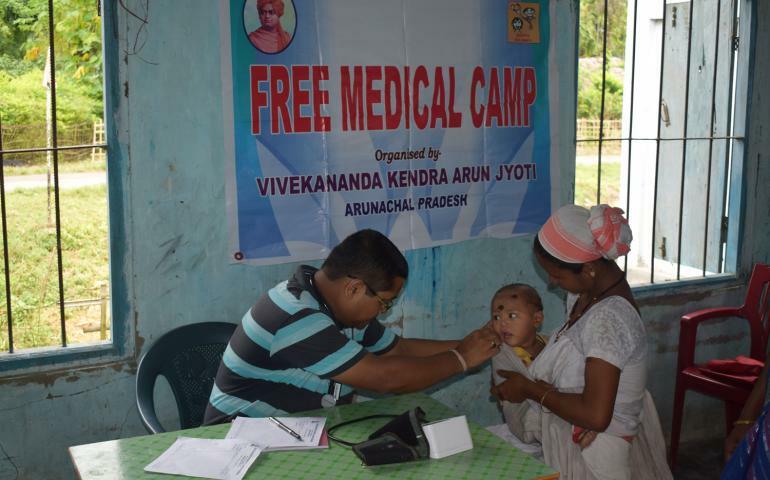 Vivekananda Kendra Arun Jyoti organized two Free Medical Camps at Lekang circle of Namasai district, Arunachal Pradesh on 3rd and 4th September 2018. On 3rd Sept. the camp was organized at Rongalibeel, a remote flood affected area of Lekang circle. 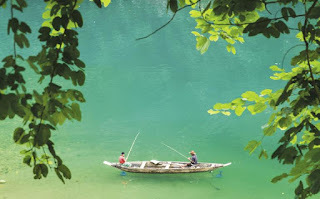 It covered three villages and those are Rongalibeel, Dirak Miri and Rajabeel. 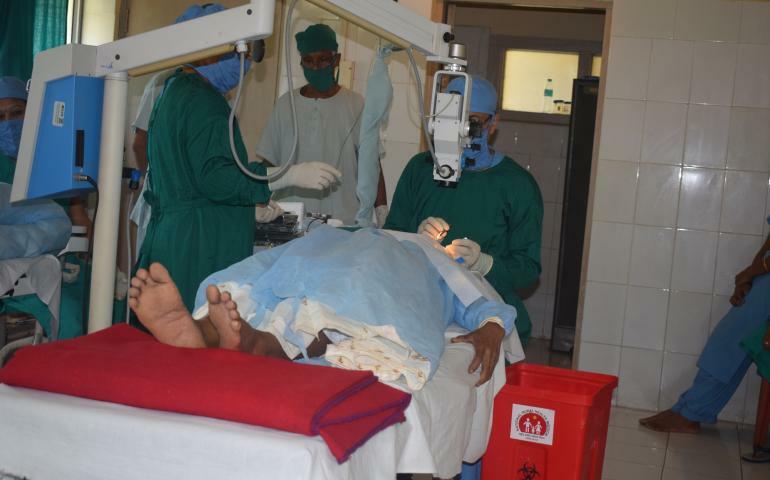 A total 137 patients were examined and free medicines were provided to them. On 4th Sept. the venue was Manpangliang village and it covered another nearby village i.e. Hatimorabeel. 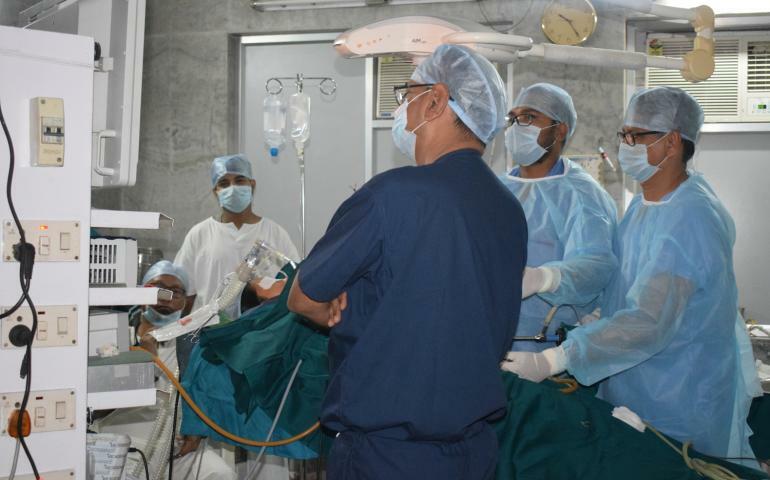 139 patients were examined during the camp and medicines were distributed accordingly. All Lekang Area Youth Association (ALAYA), Mahadevpur collaborated with Vivekananda Kendra Arun Jyoti for these two camps. ALAYA volunteers worked very hard to make these camps successful. 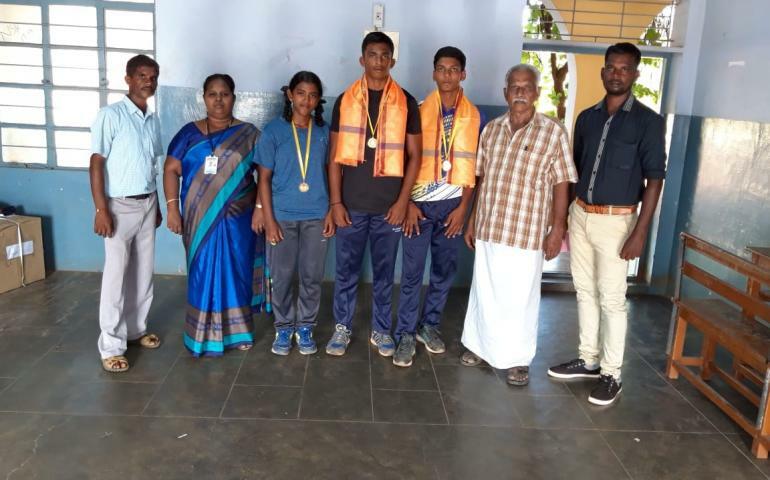 The mobile medical team of Vivekananda Kendra Arun Jyoti also conducted health awareness program in these two locations involving the students. It was decided that ALAYA and Arun Jyoti will organize one Mega Multispecialty Medical camp at Lekang circle in winter.